﻿ Real Madrid 3-0 APOEL. Ronaldo shows how it's done! 13.09.2017 » Real Madrid 3-0 APOEL. Ronaldo shows how it's done! 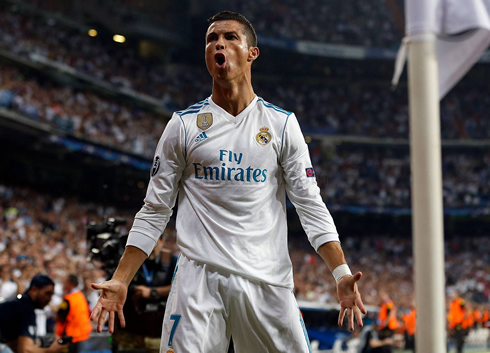 Real Madrid started their 2017-18 UEFA Champions League campaign with the right foot, beating APOEL Nicosia at the Bernabéu with a clear 3-0 scoreline. Cristiano Ronaldo showed his hunger for goals once again and scored 2 goals tonight. 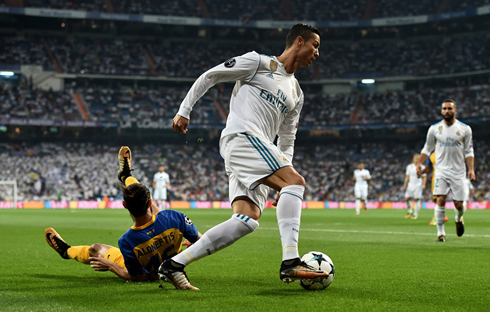 It certainly wasn't perfect and though Real Madrid seemed almost too comfortable at times, they were able to start their Champions League defense in a victorious fashion, with a solid 3-0 victory over an APOEL Nicosia side that defended valiantly and made themselves proud on the night. With Cristiano Ronaldo back in the lineup, there was an eagerness around this match. Real Madrid lined up with Cristiano Ronaldo and Bale up top, with Isco slotted just behind the pair. With Dortmund taking on Tottenham however in the other match, it was important for the Merengues to get off to a good start and regardless of the performance at times, it was a solid result. It didn't' take too long for Cristiano Ronaldo to get back on the goal sheet and it happened in classic counter-attacking fashion. After the Cypriot side found themselves with a half chance in front of goal, Real Madrid broke incredibly well. Kovacic, Isco, Bale, Ronaldo. Perfect Real Madrid football that ended with the Portuguese attacker placing a one time shot into the opposite corner of the net, well beyond the reach of the keeper. Yet, what felt like the opening of a gateway, was in fact not, as APOEL Nicosia became increasingly staunch in defense, keeping Madrid at bay. The play was at times uninspired despite the overwhelming amount of possession from the home side. Perhaps it was the injury to Mateo Kovacic and the loss of his ability to maneuver through the midfield that hurt Real Madrid in the end. In Zidane's mind, Kroos was not needed for this game against a team that sits so deep. In the second half, Real Madrid game out with a bit more purpose and aimed to put the game to rest. Cristiano Ronaldo hit the underside of the crossbar, but alas was thwarted by goal line technology. However, soon after he'd get a penalty and put away yet another goal extending his lead as the Champions League all-time top scorer. Ronaldo immediately grabbed the ball, a hat trick was on his mind. 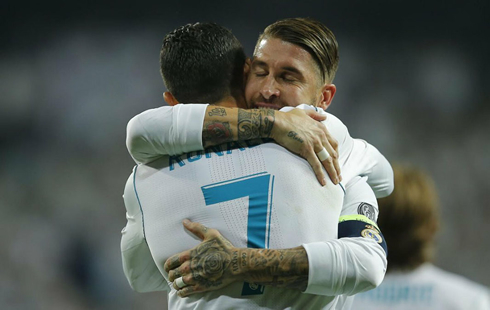 The third goal came from Sergio Ramos, after some quick thinking in the box helped him to convert an unconventional overhead kick for 3-0. Ronaldo would have many other chances, but was repeatedly denied by the offside flag. In the end, however, 3-0 was more than enough and Real Madrid tops the group after matchday one. Up next is Real Sociedad, in what is sure to be a tough game especially considering the absence of Ronaldo, his last game out for Madrid from his 5-match ban. But all in all, it was a solid start, far less nerve wracking than the 2-1 last minute victory over Sporting CP a year ago. Cristiano Ronaldo next game is for Real Madrid on September 13 of 2017 against APOEL Nicosia. You can watch Juventus live stream, Real Sociedad vs Real Madrid, Getafe vs Barcelona, Atalanta vs Everton, Arsenal vs Koln, and Austria Vienna vs AC Milan, all matches provided from our football live game pages.